A world without wires is still a utopian dream at this point, but we’re inching towards it. Wireless charging for your phone is a step on that journey, even though it’s not technically ‘wireless’, given the charger itself needs to be plugged into the wall, and the phone has to rest on a small mat or it won’t get charged. Still, it does save you the hassle of plugging in your phone every night, so there’s that. Many popular phones support Qi wireless charging now, from the latest iPhone 8 and iPhone 8 Plus to the iPhone X, Samsung Galaxy Note 8 to the LG G6 among others. But there are still phones that aren’t yet on the bandwagon, including some flagship devices, such as the Google Pixel 2 and 2 XL. That’s why we’ve included recommendations for both worlds below, so you can strive towards that wireless dream no matter what device you own. We looked for recommendations online, and saw what the customers are saying, and here are the most interesting and useful devices we found. For those whose phones don’t support wireless charging, one way to get around that is by using a case that is Qi wireless-equipped. You can then pair it with any Qi wireless charging pad from below, and be on your way. The thing with cases is that they’re specific to phones, so we’ve included a couple of popular options here, though you might have to search for your particular phone. All of them work in the same way. The case has a built-in receiver coil and a male charging end that plugs into your phone’s charging port. This does mean an extra step if you want to use wired headphones with your iPhone 7. Some also have an included battery pack, which helps extend your battery life on-the-go, and is then charged along with your phone when you put it down. 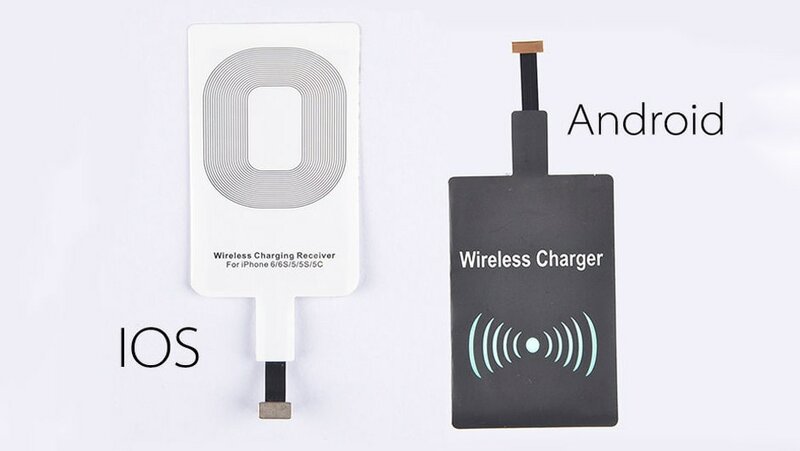 Another way you can get wireless charging for phones that don’t support it is by using a receiver coil, which plugs into the phone’s charging port. This turns any phone into one that can be used with a wireless charging pad, although you’ll need to find one that’s compatible with your phone. Since it plugs into the phone, the charging receiver you need is different depending on whether you have an Android (typically Micro-USB or USB Type-C) or an iPhone (Lightning). Getting the proper fit can be hit and miss, so be ready to work a little. Once you’ve plugged it in, put your phone down on a wireless charger, with the charging mat between your phone and the pad. Of course you don’t want to have the coil hanging from your phone, so you’ll want to tuck it under the case/ back cover. Once your phone can be charged wirelessly, you need a charger too. If you’re on a budget, consider the ARE Wireless Charing Pad, which is one of the cheapest charging pad and receiver mat combinations we could find online. The receiver bundled with the pad is designed to work with phones that use Micro-USB chargers, which is to say, most Android phones. 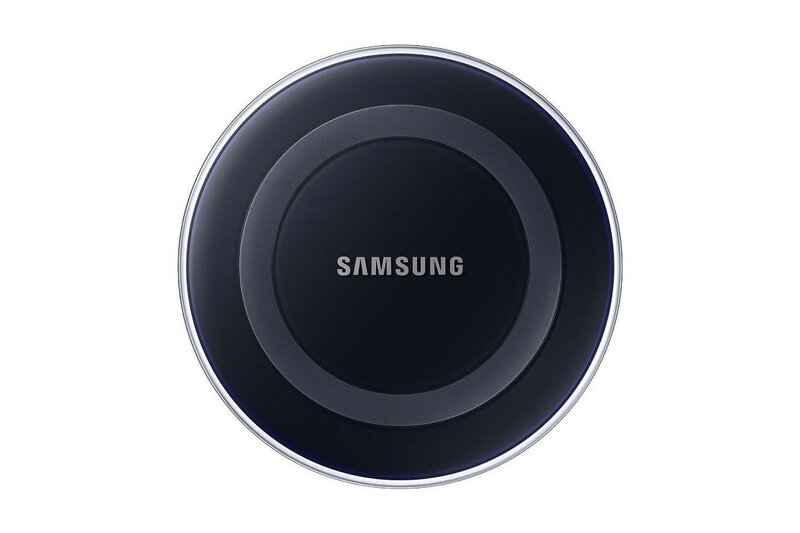 The ARE Wireless Charging Pad outputs 1A, so it’ll take more time than your standard charger, which outputs 2.1A. If your phone supports fast wireless charging, consider one of the options below. Looking like a flying saucer and supporting fast charging on Samsung’s latest devices – the Samsung Galaxy S8, Galaxy S8+, and Note 8 DB LINK ALL – the new Samsung Wireless Charing Pad outputs 2A instead of the 1A you get from most wireless chargers. To keep temperature down, there’s even a silent fan inside. It also supports most other Qi-capable phones, including the new iPhone models, though not all phones support the faster wireless charging standard. Design wise, it has a circular strip of rubber on the top and bottom to prevent your phone and it from sliding around. There’s a status LED too, which shines blue charging and green when fully charged. That’s actually a downside because it can be quite bright according to user reviews, which could be annoying at night if the charger is in your bedroom. 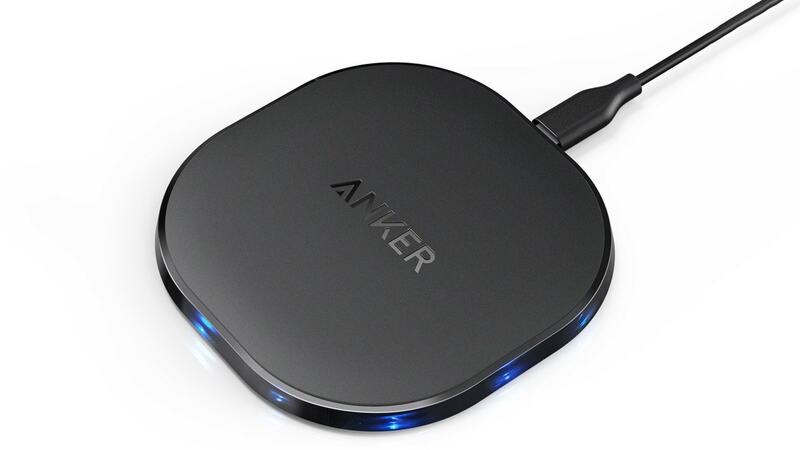 Anker is a well-known accessories maker, and its PowerPort Qi 10 is a decent wireless charger – if you’ve already got a Quick Charge 3.0 wall charger. That’s because Anker ships the PowerPort Qi 10 without a charger at all, so you’ll need to buy one yourself. Once you do, it can be connected to the Anker charging pad to use wirelessly, and the resulting combo will work faster than a standard wireless charger – though only for phones that support wireless quick charge. It has a good bottom grip, and multiple LED lights that show the charging status when you first put your phone down. The only issue is that it has a single coil so you’ll need to remove your phone case and find an ideal spot that provides maximum power. 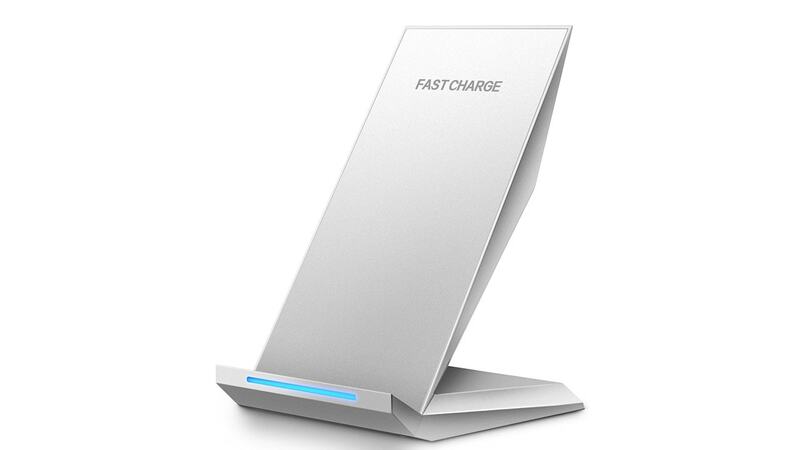 If you want a wireless charger that allows you to use your phone while charging, Pasonomi’s Wireless Charging Stand is worth looking at. It’s capable of Qi 2.0 fast wireless charging, though it doesn’t ship with a compatible adapter. It has a LED indicator that shows status of safety charging, which starts with blue for 2 seconds and then turns into green. Pasonomi recommends removing your phone case as your phone will get quite hot while charging. The stand allows you to place your phone both vertically and horizontally, so you can easily make calls or watch movies while charging. 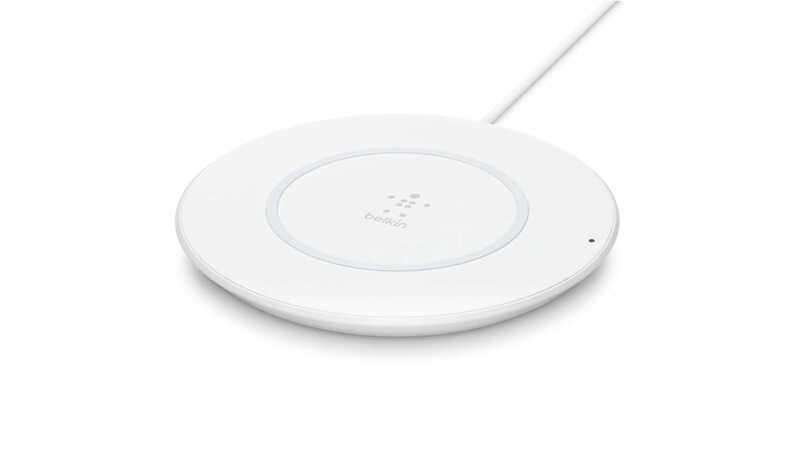 If money is no object, and you’re looking to get the best charger for your new iPhone X right away, Belkin’s BoostUp Wireless Charging Pad is a great option. It supports the Qi standard as others, and can deliver up to 7.5W of power. 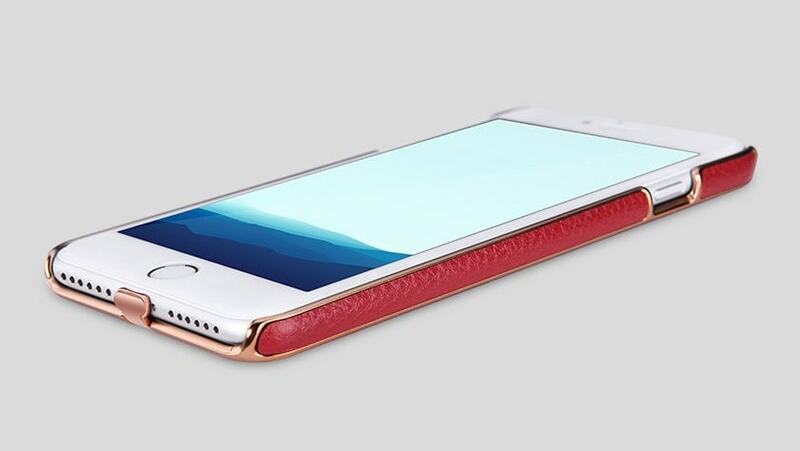 Plus, it can even charge your phone with the case on, as long as it’s not thicker than 3mm. There’s a LED status in the base, so you know whether your phone is charging or not. Remember though that the new iPhone models – 8, 8 Plus, and X – don’t support the BoostUp’s fast charging speed.